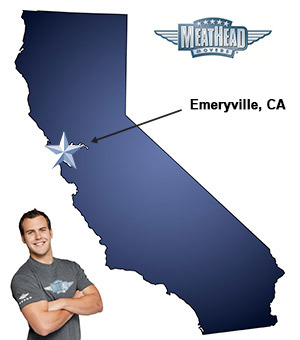 Whatever your moving needs may be, the Emeryville movers from Meathead Movers will help you feel at home. Our professionally trained student-athlete movers and our moving concierge will be with you for the entirety of your move to Emeryville. Welcome to Meathead Movers of Emeryville! If you are moving to or from anywhere in Emeryville, our Emeryville movers are here for you! Our professionally-trained student-athlete movers and moving concierge service are here to help you with every stage of your move. Emeryville is a dynamic Bay Area town that is full of fun shopping, dining, culture, and recreation. It has something that appeals to everyone! If the arts attract you, it is a perfect place to peruse. With its Art in Public Places Programs, the city encourages local artists to spread and display their art throughout the city. Even though it’s a relatively small town, only one square mile large, the town has movie theaters, bars, clubs, dance halls, spas, gyms, malls, and much more. The city also has multiple parks and is located right on the ocean, so it’s perfect for those who enjoy ocean activities like sailing. If you are considering a move to Emeryville, Meathead Movers is here to help. Our moving company specializes in local, long distance, and commercial moves to, from, and within California. We also provide reliable packing, storage, on-site relocations, and our distinctive concierge service. All our student-athlete Emeryville movers are thoroughly screened and trained before their first move. With branches throughout California, we are your one-stop resource for all your moving needs, no matter where your move takes you. We have been revolutionizing the moving industry since 1997. When you entrust your move to Meathead, you can rest assured knowing that your move will be a success because our professionally trained student-athlete Emeryville movers are the best movers the industry has to offer. In fact, you can see what your neighbors have to say about us. With our 100% satisfaction guarantee, the only thing you have to lose is the stress that comes from moving! So contact us today for a free moving quote and to learn how we can help you on your next move! Moving to Emeryville? Here are some helpful resources. What I like about your services is you deliver everything you promise.